Are you looking for a LOW PREP writing craftivity? 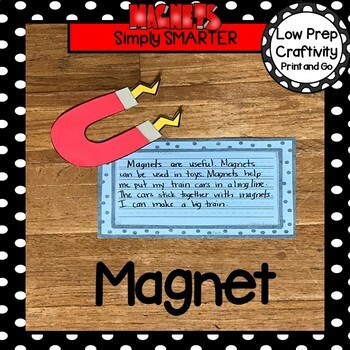 Then enjoy this science resource which is comprised of writing prompts, a word bank, differentiated writing frames, a bulletin board sign, directions and template pieces to create a MAGNET craft. 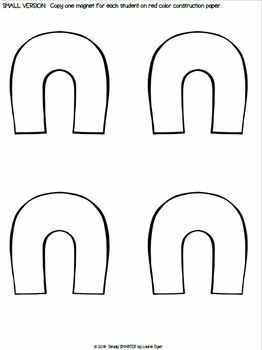 There also is a black and white completed craftivity sample for the children to cut out and color and then write on if you do not want them to cut and paste. The possibilities are endless with this writing craftivity that comes in a small version and a large version. 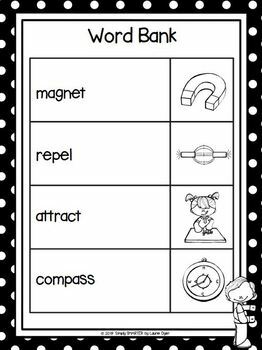 The project can be used for literacy centers, science, enrichment, remediation, independent work, focus lessons, and homework. The writing frames can be chosen by the teacher to best meet the needs of the student. 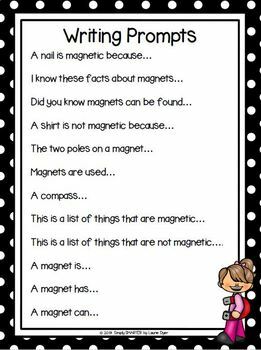 Additional writing paper has been included for children who would like to write more. There is a bulletin board sign included for you to print and laminate for durability. You can display your children's writing on a differentiated and precious bulletin board. ALL YOU NEED TO DO IS PRINT THE APPROPRIATE PAGES AND PROVIDE PENCILS, GLUE, SCISSORS, AND CRAYONS.